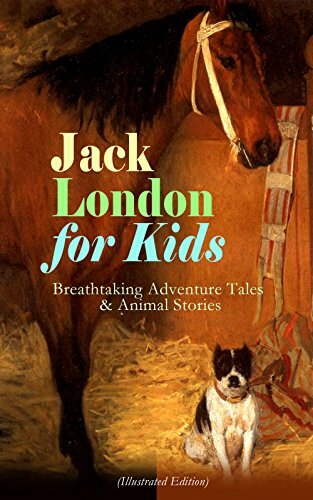 This carefully crafted ebook: “Jack London for Kids – Breathtaking Adventure Tales & Animal Stories (Illustrated Edition)” is formatted for your eReader with a functional and detailed table of contents:The Cruise of the Dazzler – Joe Bronson, dissatisfied with his dull life at school, runs away and joins the crew of a sloop he sees in San Francisco Bay.The Call of the Wild – A dog named Buck gets stolen from his home and sold into service as a sled dog in Alaska. He becomes progressively feral in the harsh environment, where he is forced to fight to survive and dominate other dogs. White Fang – A wolf-dog raised in an Indian camp runs away only to face the violent world of wild animals and the equally violent world of humans.Jerry of the Islands: A True Dog Story – Jerry is an Irish terrier who finds himself on the island of Malaita, after the ship he was on got attacked.